Matthew Williamson presents a semi-plain ottoman curtaining fabric in his highly individual colour palette to complement the bold patterns in the EDEN and SAMANA collections. Colours include vibrant shades of kiwi, jade, turquoise, peacock, coral and ruby as well as restrained neutrals such as grey, taupe and linen and metallic tones of bronze and copper. 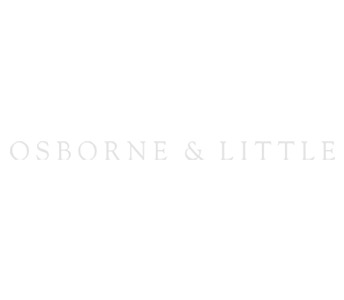 MATTHEW WILLIAMSON and associated marks and logos are trademarks of MATTHEW WILLIAMSON LIMITED, licensed to Osborne & Little Ltd. © 2014.